What did you love best about The Empire's Corps? 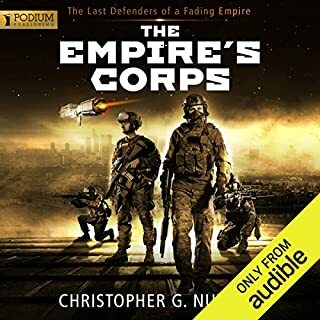 The Empire's Corps is a fun military scifi space adventure in the vein of Robert Heinlein. Christopher Nuttall weaves an engaging story with a well thought out backstory that creates a believable world. Unlike very sexist Heinlein, Nuttall actually writes realistic, strong female characters that help propel the story. My only critique is there were tracts where Nuttall repeats himself. I realized he was trying to maintain cohesion in understanding what was going on in the story, but it quickly became redundant. This foible is utilized less and less the further the story goes on, but made it hard to get into the book initially. A good editor would have struck many of these sections for this very reason, but like I said, it levels out halfway through the book. I really liked how Nuttall constructs a very believable space Empire that is on the edge of crumbling apart. It helps build the foundation of the series. He really explores the inherent corruption of power that leads to the Empire's collapse (I believe it finally falls in Book 3). I like the Space Marine storyline. Jeffrey Kafer, the narrator, is the weakest part of this audiobook. His monotone reading of the story frequently annoyed me. His voice sounds a lot like a very stoned Charlie Sheen. If he could have made a modicum of effort to create different voices for each character, it would have drastically improved the overall book. Luckily, the story was engaging enough to keep my attention throughout, despite the narration. Can't wait to listen to the rest of the series! Funny how this is only SK book I did not read! This is a great audiobook. Campbell Scott does a fantastic job reading. 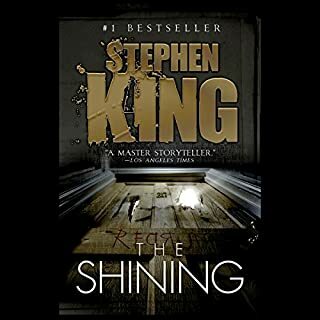 After reading the sequel, "Doctor Sleep," I had to go back and read the original. I had seen the Stanley Kubrick movie, but not read the book. I was surprised to find the book to be far superior than the classic film. The ending which was way better than the movie. Who was the most memorable character of The Shining and why? Jack Torrance. The book goes into way more back story into how and why Jack goes mad. Yes, just to capture nuances I missed the first go 'round. Megan. If I explain why, then it would fall in the category of SPOILERS. The climactic finale where SPOILERS are revealed. Yeah, it took a while for the author to get the story rolling. He gives a lot of back story upfront which will make sense later in the book but he could have done a better job weaving it throughout the story as it unfolds. Because of his loooooong drawn out telling of the back story, it is hard to get into at first. If you can slog through, the story's momentum picks up and carries you away. My advice is to stick with it and you will enjoy the ride. 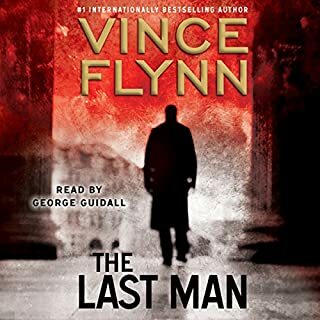 Where does The Last Man rank among all the audiobooks you’ve listened to so far? I would not say this is the best in the Mitch Rapp series (my personal faves are Executive Power and Extreme Measures), but the author delivers a gripping tale that had me riveted till the end. What originally made me enjoy Clancy's Jack Ryan and Robert Ludlam's (now Erik Von Lustbader's) Jason Bourne is the action, espionage, and intrigue. Clancy petered out near the end, obvious farming the series out to ghost writers. Von Lustbader has beautifully picked up the torch from the Ludlam estate and consistantly delivers fun, engaging spy stories. As does Mr. Flynn with this series! George Guidall, as usual, nails the vocal performance on all the characters in the novel. His voice is Mitch Rapp in my head. It was hard to go back and listen to first three books in the series (recorded before they signed Mr. Guidall on to read the series), they all pale to George. Most definitely. Kept my attention for the entire listening. I came into this series on Book 4: Executive Power. I loved it so much, I plowed through all of them up to Book 12, which was the newest at the time. I eagerly await each new novel as they are released. I went back to listen to 1-3 but really could not get into the pre-Guidall narrators, he is so far superior that the others paled in comparison. If you love spy novels, this is a must-read (listen) series! What did you love best about The Casual Vacancy? All the in-depth character studies and how it showed the person as a whole both the good and the bad. The same reason Harry Potter fans loved the series is how Rowling breathes life into each character is why this book gripped my attention and made it hard to put down. Because it was such a break from the fantasy world of Harry Potter, I am proud she is free from the chains of that series and able to spread her literary wings enabling her to write what moves her. Don't pay attention to the negative reviews. Don't go into this expecting an uplifting fantasy story of good triumphing over evil. If you want fantasy, go look at other great options offered here. This is Rowling pulling back the curtain on ordinary, mundane, everyday British small town life, exposing the harsh realities, lies, deceptions, subterfuges, politicking, schemings, etc for the whole world to see. Very un-British, who are generally very private and put up a good front (Stiff upperlip and all that, what!!) for the public. Having lived in England in a little village similar to Padford, I can relate to and enjoy the story told. I am proud of Ms. Rowling for writing this novel, even though she knew it would prove unpopular with most of her HP audience. It was a project she was very passionate to write about and I think she did an outstanding job. 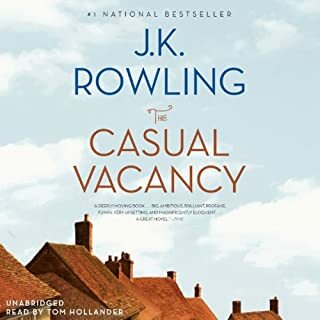 What other book might you compare The Casual Vacancy to and why? The ways the characters are fleshed out as the story develops and how Rowling evokes your empathy for each and everyone one, I would compare it to my favorite The Time Traveler's Wife. Both are very character focused and quickly grab you then whisk you away into their lives. At first, I was not a big fan of the reader because he was so new to me, but Mr. Hollander quickly won me over with his specific vocal characterizations that enabled me to keep each character straight in my head while listening. Who was the most memorable character of The Casual Vacancy and why? All of them. As I have said above, each and every character is meticulously built and shown warts (or pimples) and all. Ms. Rowling's art of storytelling breaths life into each and every character. One would not be surprised to see one walking down the street she fleshes them out so well. Put all preconceptions and reviews aside. Let this book stand on its own. Give it a chance and you will enjoy the voyeuristic escapism it provides. Where does Succubus Blues rank among all the audiobooks you’ve listened to so far? The entire Georgina Kincaid series is up there with some of my faves in the fantasy genre. The stories are engrossing and well written. I totally lose myself in each book when they come out. Georgina Kincaid, the story's heroine, is a nice change from the run-of-the mill vampire/shifter/werewolf/witch/zombie tales out there now. As a succubus from ancient Greece times, she has seen a lot but is not jaded by humanity. If anything, Georgina has become quite enamored with us. A very empathetic character, Georgina Kincaid, is very well imagined by Richelle Mead. Love this entire series. Cannot wait for the next book to come out! Which character – as performed by Elisabeth Rodgers – was your favorite? All of them. Elisabeth Rodgers is a perfect reader for this series. Her sultry, silky, and steamy voice makes the Succubus' tale all the more believable. Much better than her Twilight Series, probably because it is intended for adults, rather than teens, and I am in that latter target audience. Very interesting insights into a genre that has been only had the surface touched before. Take Robert Heinlein's "The Puppet Masters" or ABC TV's recently failed series "Invasion" and leap three years after the symbiotic aliens have successfully conquered Earth and most of its human population then tell the story from the point of view of an alien introduced into a hostile host then you have the start of The Host. The insights into the human condition, how precious life can be, how brutal and bestial we can treat each other, etc, really makes this book shine for me. I do not think the shiny, happy ending was completely necessary but I like how in the hardback edition there are a few blank pages inserted between the natural conclusion of the novel and the happy ending so you have the choice to end there or carry on. In my opinion, well written and well worth the money. I am actually listening to the audiobook version of it on my iPod now to pick up on any subtle nuances I may have missed or the narrator may convey in her reading of it. This is the first current science fiction book I would highly recommend since The Time Traveler's Wife by Audrey Niffenegger, which has become my all time favorite book. If this is a sampling of what Stephanie Meyer has to offer us readers once she breaks free of the money train teen-angst vampire saga, I will be one of the first in line for that book. "It's Superman" is an interesting take on the Superman mythos. 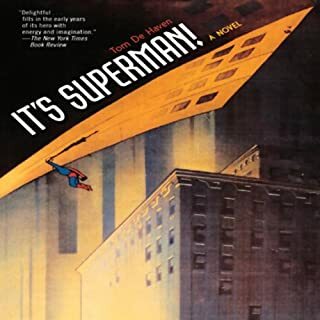 The author really humanizes Clark and places the character back in his roots of the 1930s, when originally conceptualized by Jerome Siegel and Joseph Shuster. The story shows the struggles of Clark as he evolves into Superman and the influences of his friends and family as well as the era helped mold him into the super hero he becomes. My only critique and warning is the book starts slowly (for character development), but eventually gains momentum and becomes well worth the listen. Loved the movie, Love the book even more! After seeing the movie last year and enjoying it thoroughly, I was surprised to find I had missed reading the book some how while making my monthly selections. 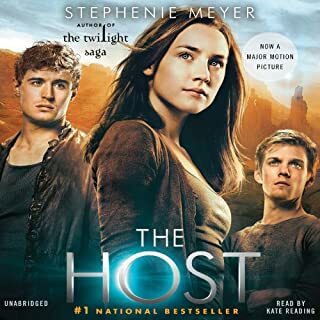 While most movies quite frequently differ greatly from the original novel, I was happy to find a deeper, richer story filled with more twists and turns, guile and intrigue than the movie. 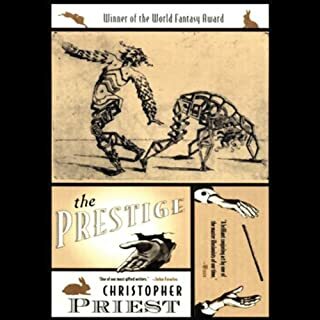 The beginning and ending of the novel, obviously edited out of the movie since it would detract from the story of the two competing prestidigitators, greatly enhance the story and shows how the actions of a man can impact on the generations that follow him. I will go no further in explaining the story. It would spoil it. My advice is if you liked the movie, you will love this book! Enjoy! Ray Bradbury was the man who initially kindled my voracious appetite for reading back in the fifth grade, appropriately, with his novel, Fahrenheit 451. 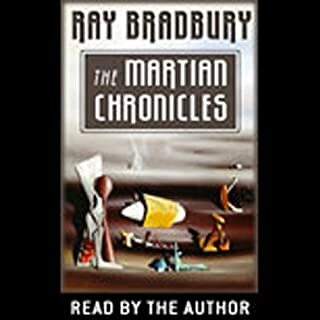 The Martian Chronicles soon followed as I plowed through all of Mr. Bradbury's work. 28 years later, it was nice to revisit a book I have read and reread over the years. My insights and observations of the book changing as I mature. 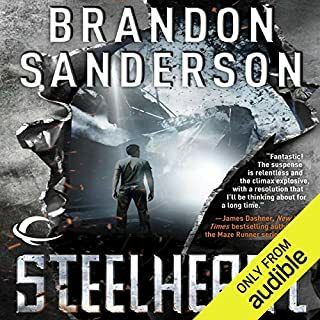 I simply added this audiobook to my monthly selection on a whim without reading any of the reviews or details, just remembering how much I enjoyed it. I listen to audiobooks on my iPod in my car which makes for a more peaceful commute. So, imagine my surprise when the distinctive voice of Ray Bradbury comes out of the speakers and begins reading me the book. The further bonus of the author sharing his personal insights, inspirations, and reasoning behind each story makes this truly a treasure and well worth the download. Enjoy it yourself! I know I did!